Revamp CRM automatically sync your Contacts and Invoices every 4 hours from FreshBooks to import your contacts, invoices, and update their status so that you can easily track and manage payments, invoices & history. 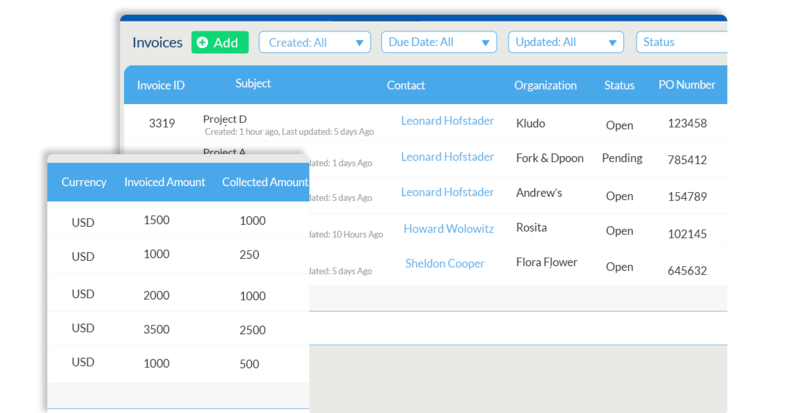 Easily find your desired customers, segment contacts with their invoices status, overdue, paid invoices and more using our smart filters. 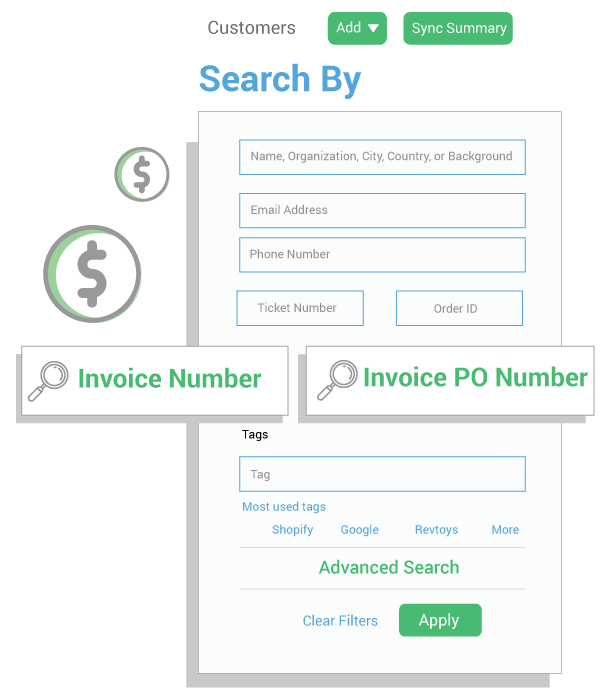 We make it easier for you to have a quick search for your customers either by invoice status, invoice id or by purchase order number. Your contact profile brings you a highly detailed look into everything you need to know about a customer, Notes, Emails, Tickets, Invoices, Files, and Tasks. A collective view of your invoices to keep you informed of the collected amount and overdue invoices. You can use our quick filters to have custom views of your invoices by type, status or due date.